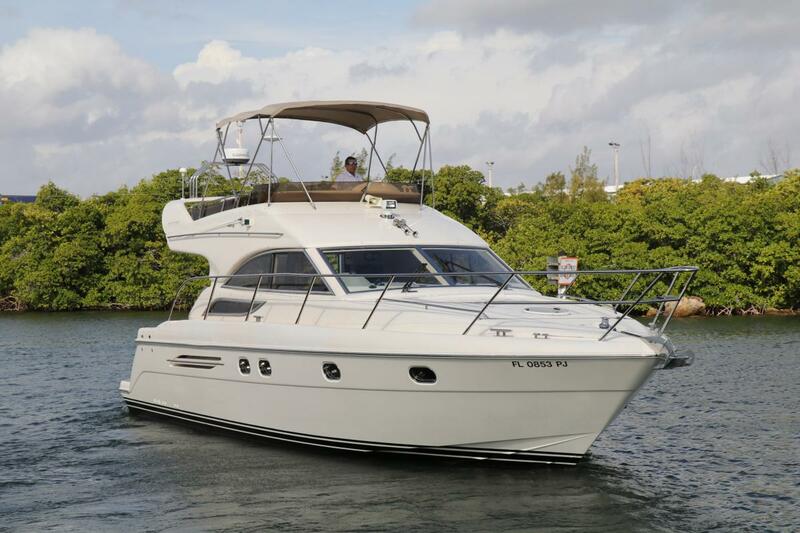 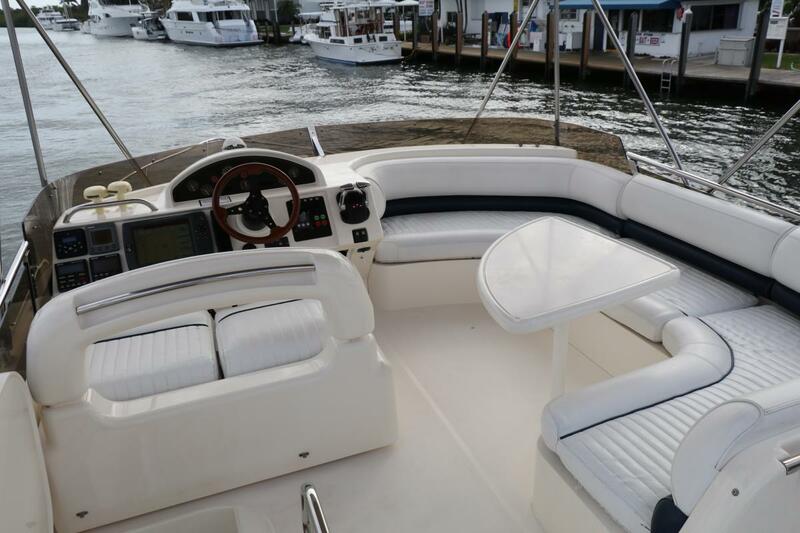 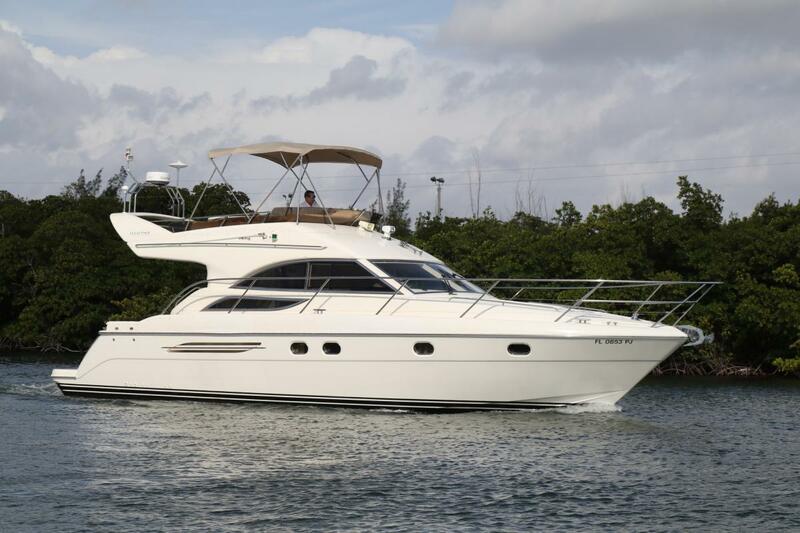 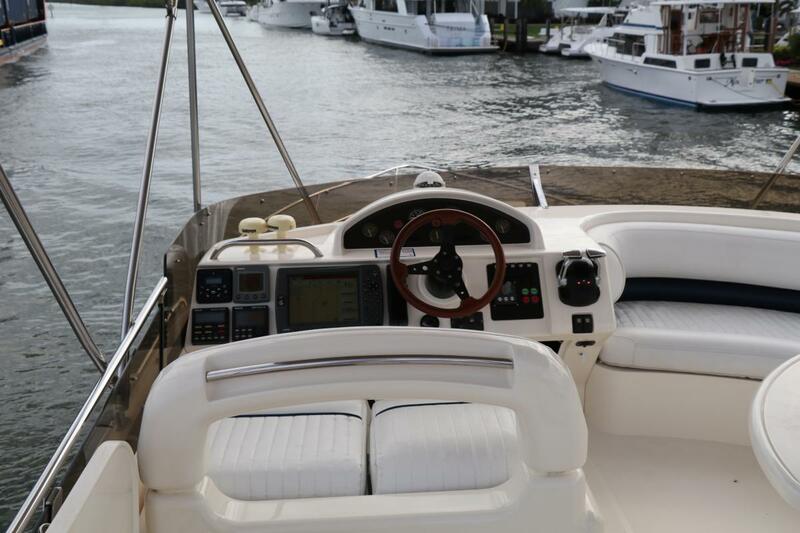 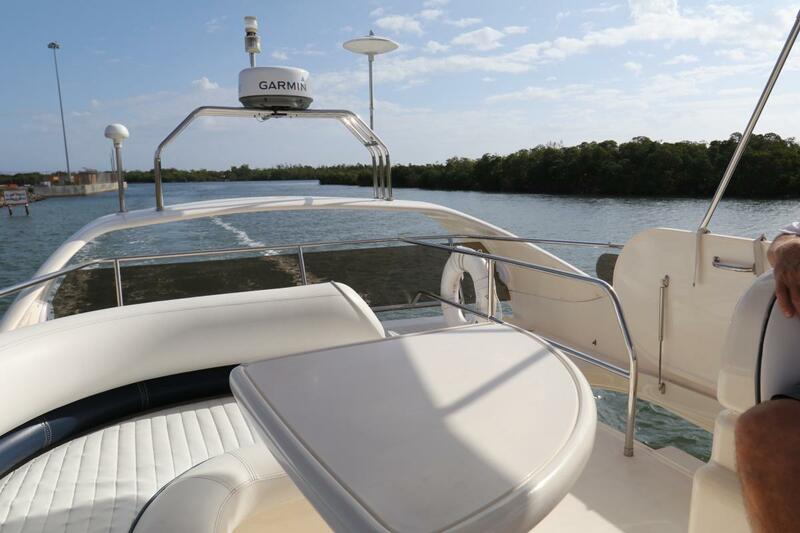 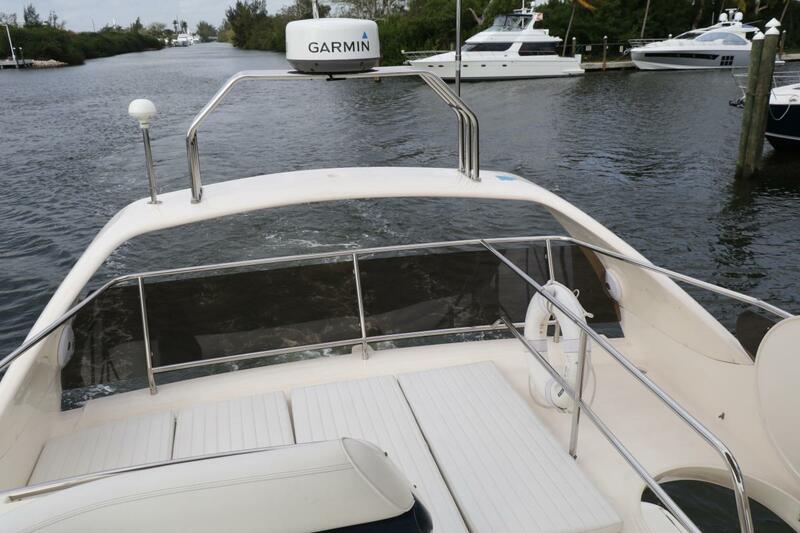 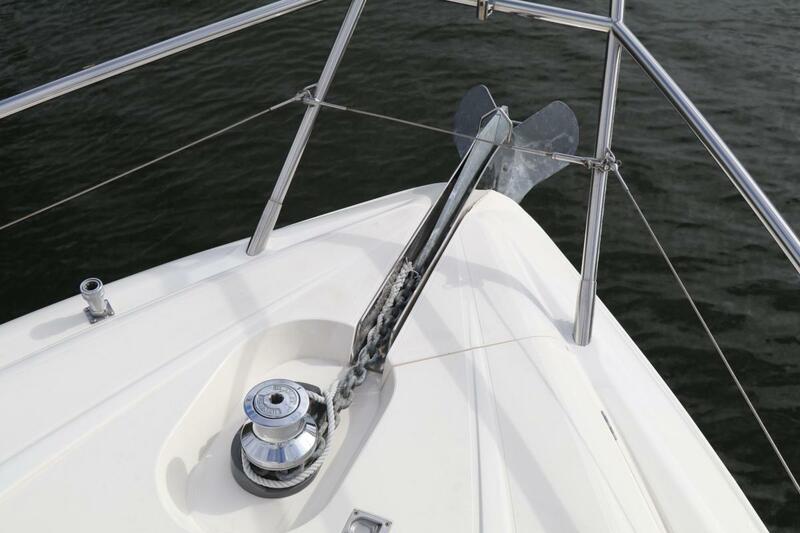 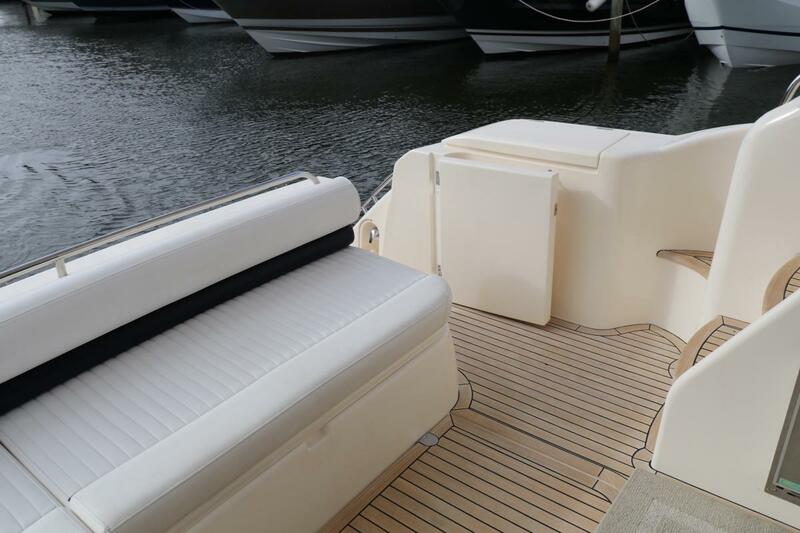 The Viking 40 Sport Cruisers Flybridge combines European styling and performance with the comfort and amenities demanded by today's boater. 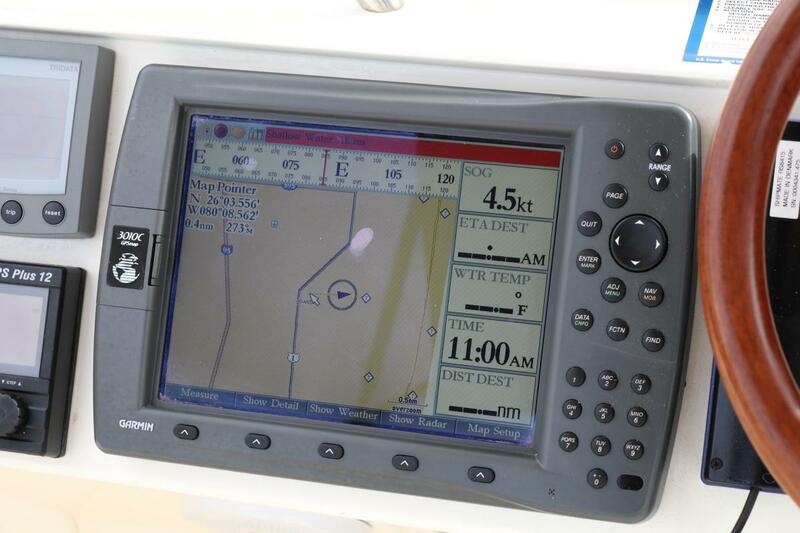 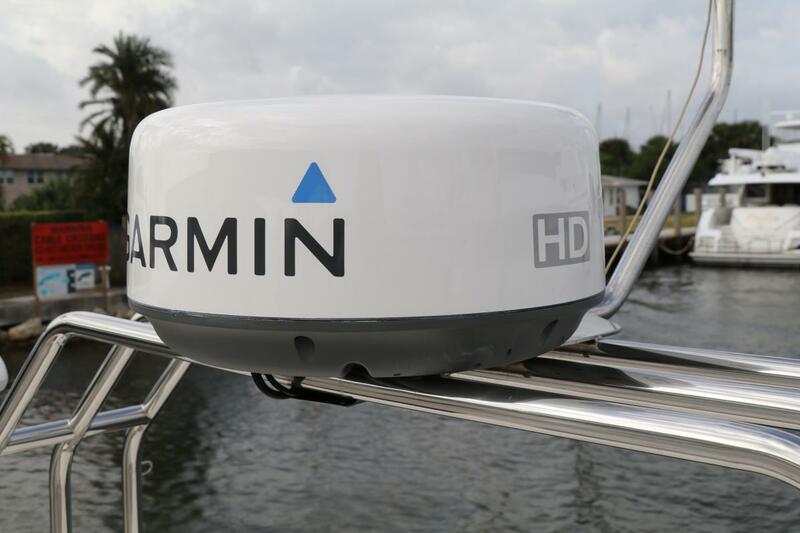 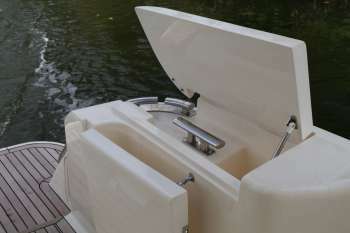 Built in the UK the Viking Sport Cruiser is constructed on a good-running deep-V hull featuring prop pockets and an extended swim platform capable of carrying a personal watercraft. 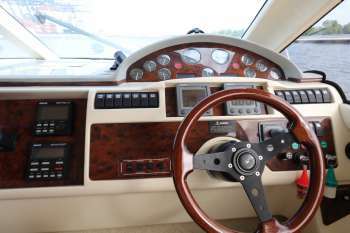 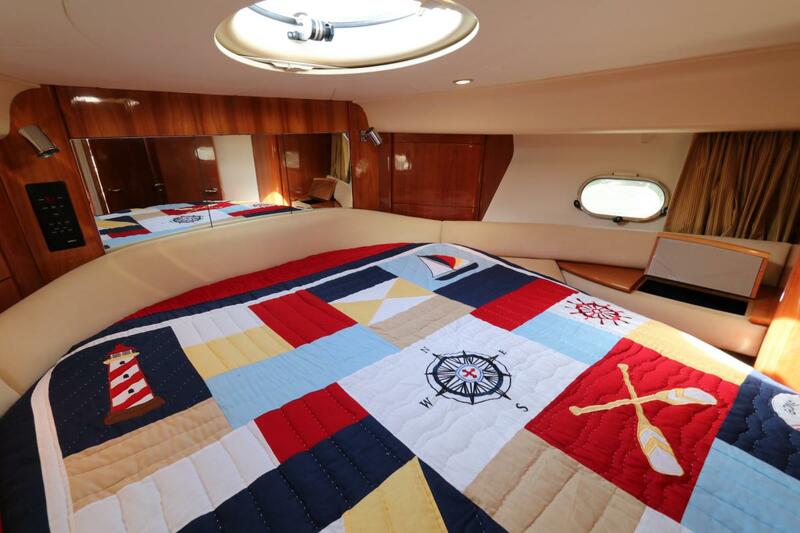 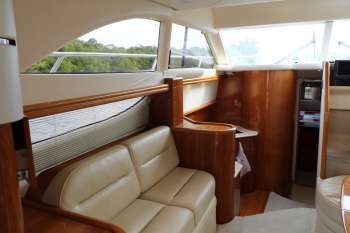 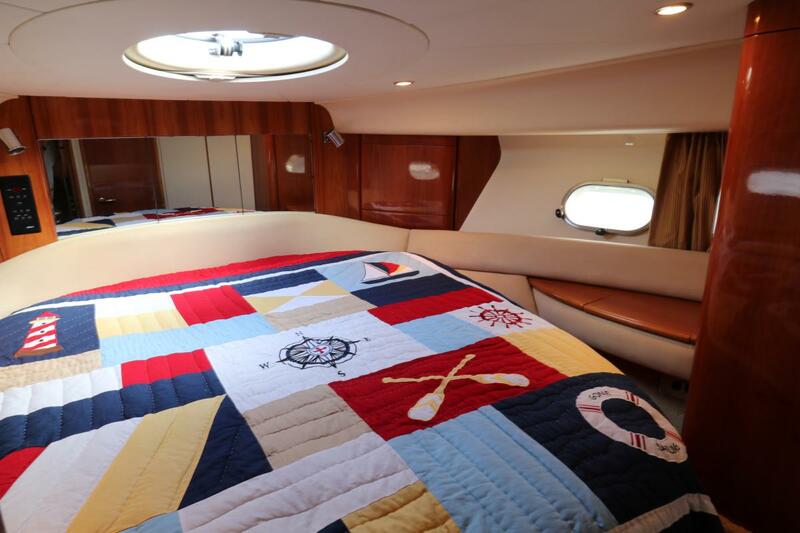 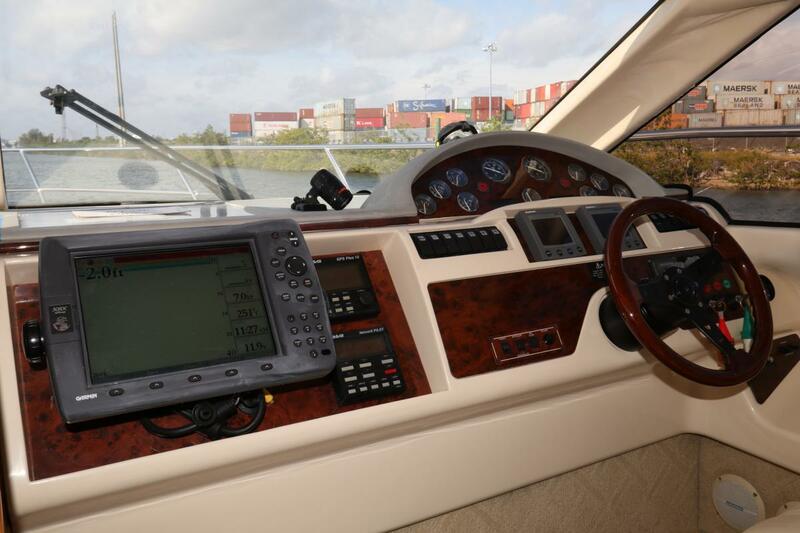 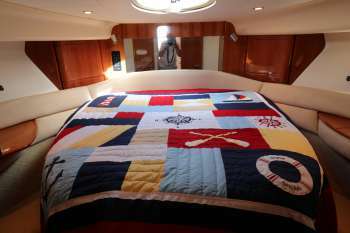 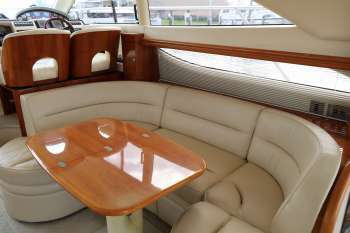 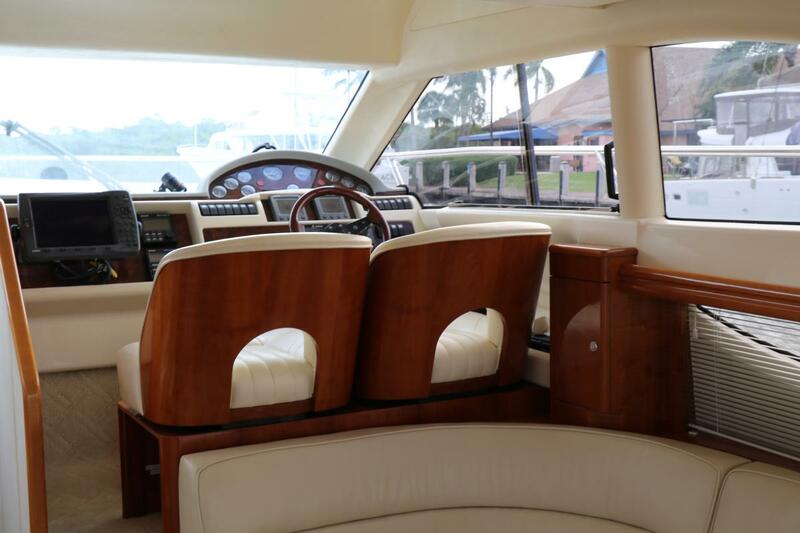 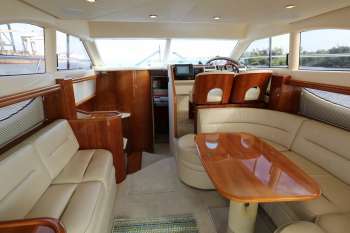 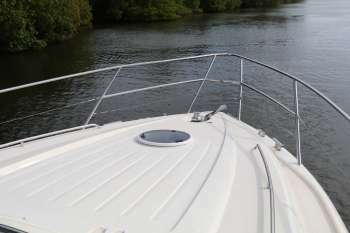 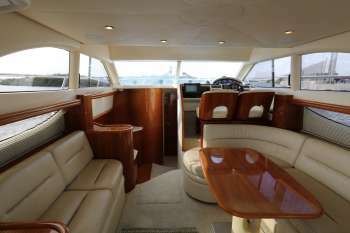 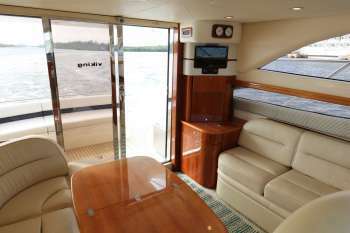 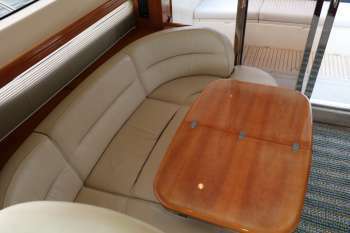 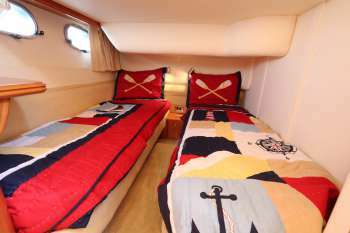 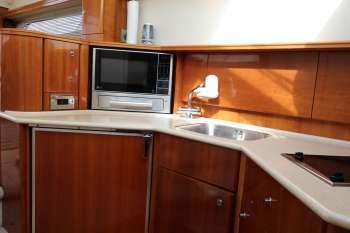 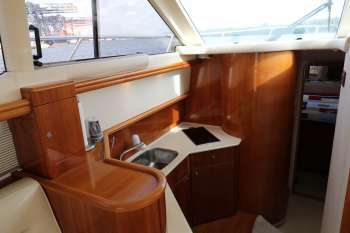 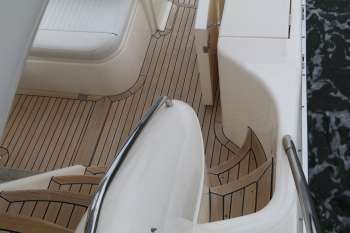 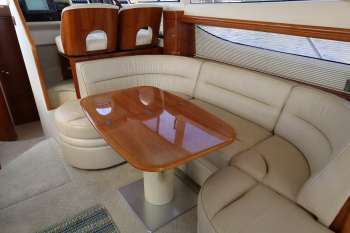 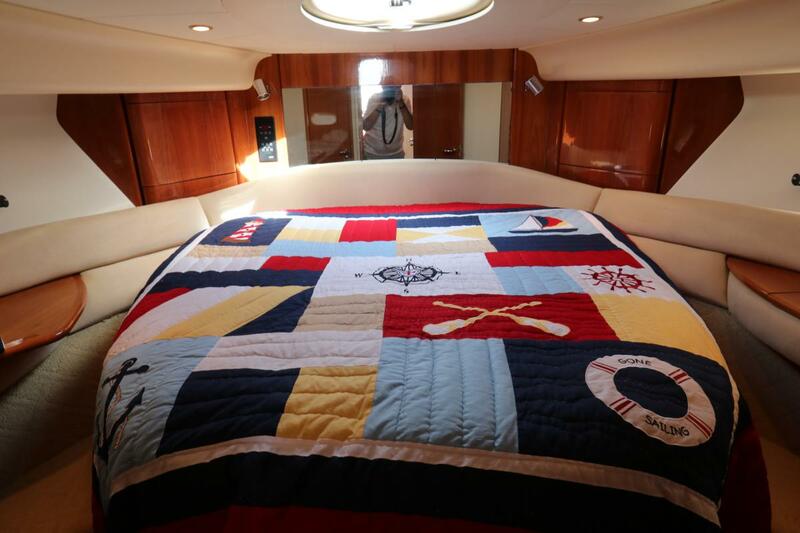 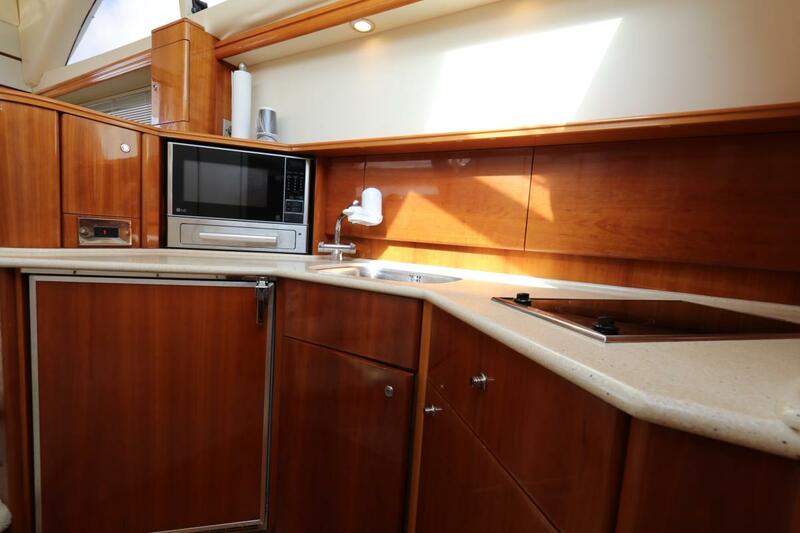 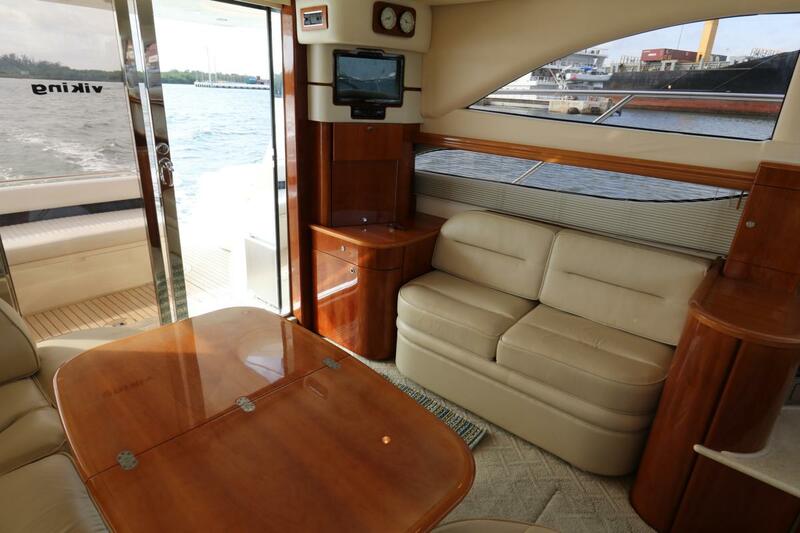 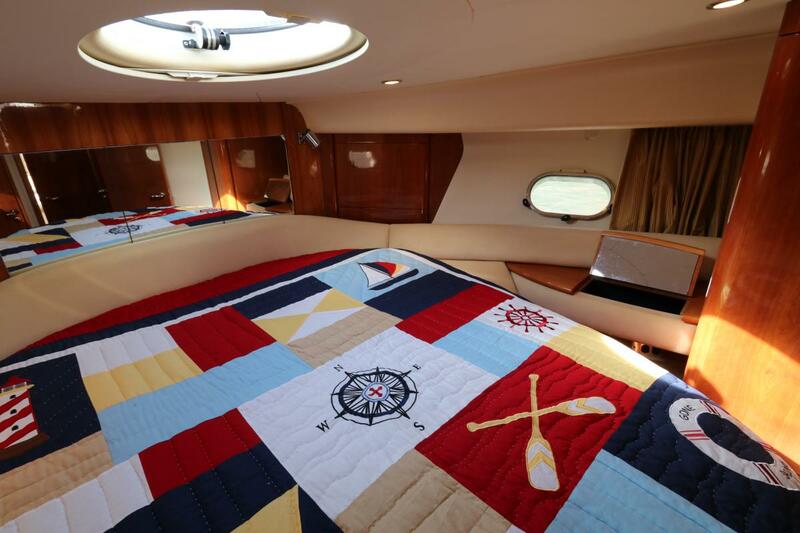 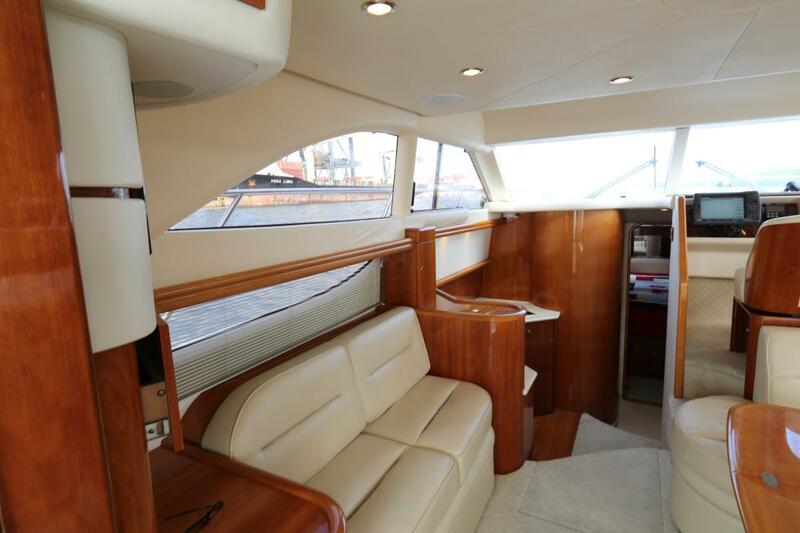 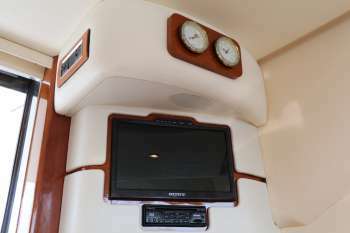 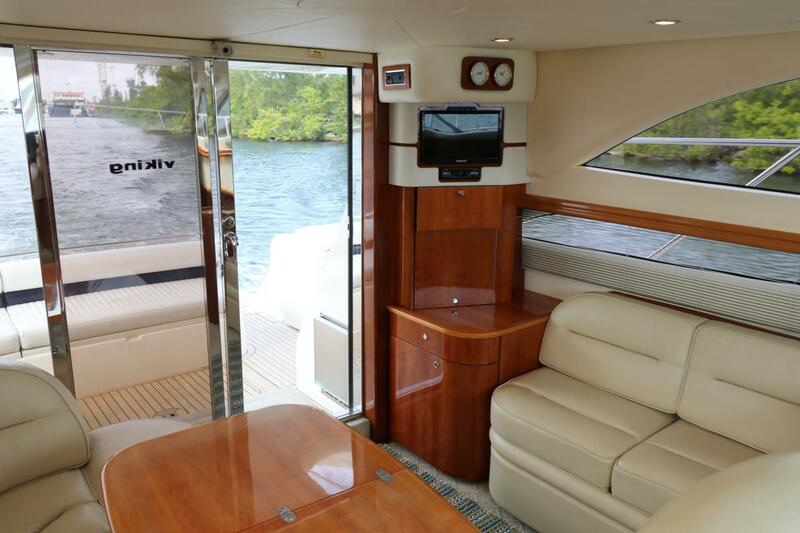 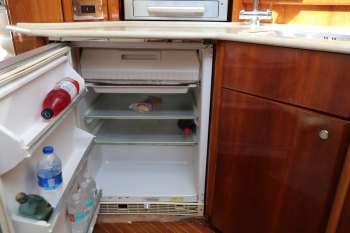 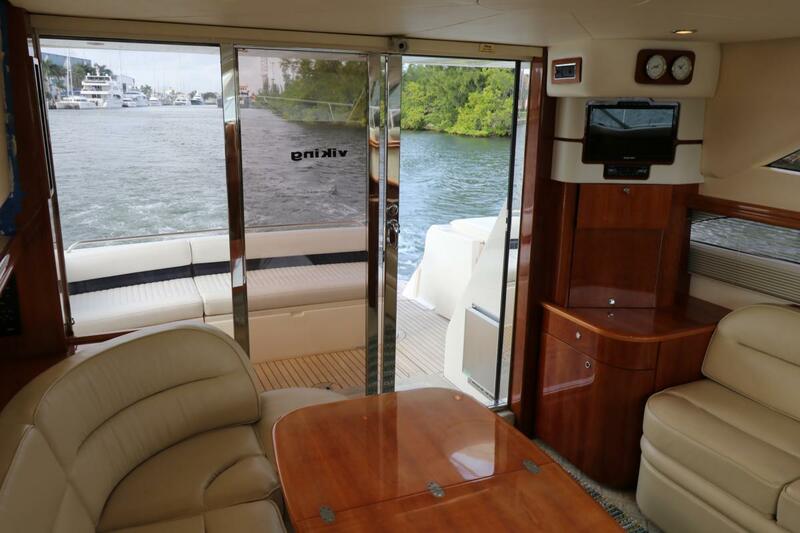 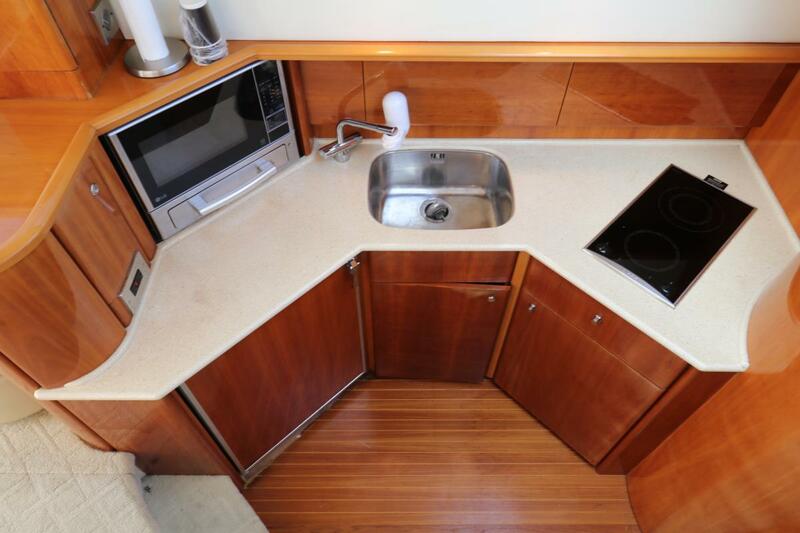 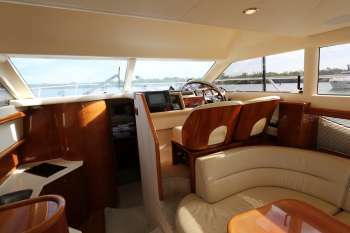 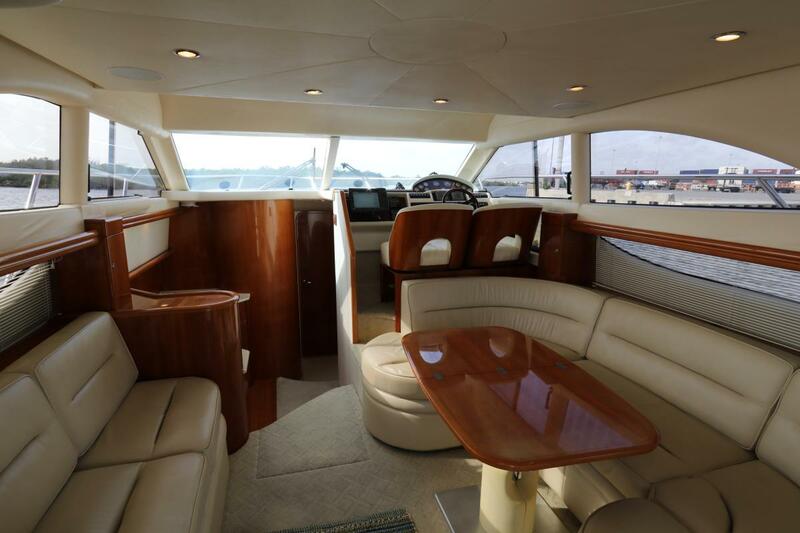 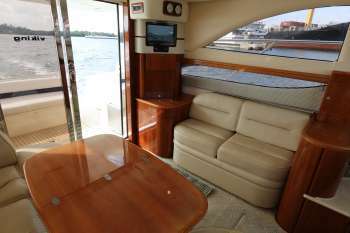 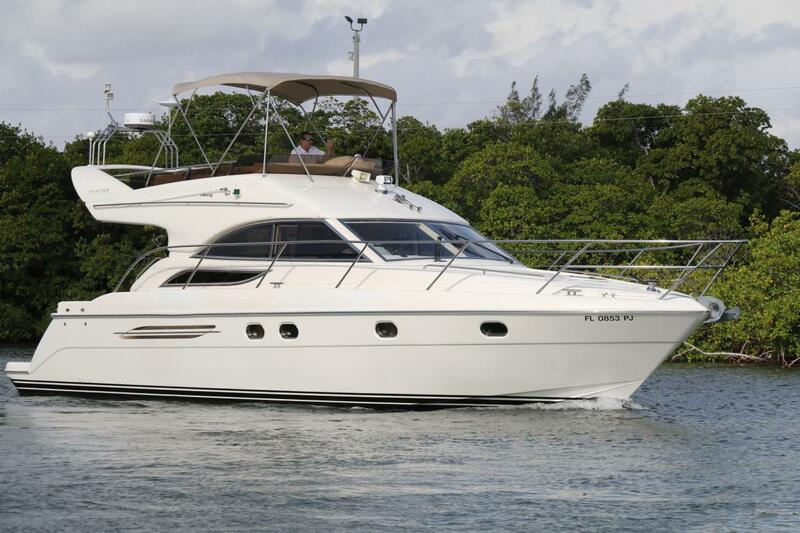 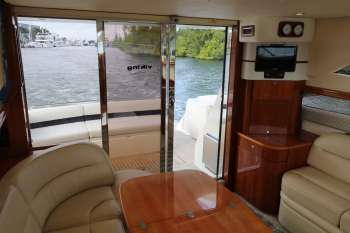 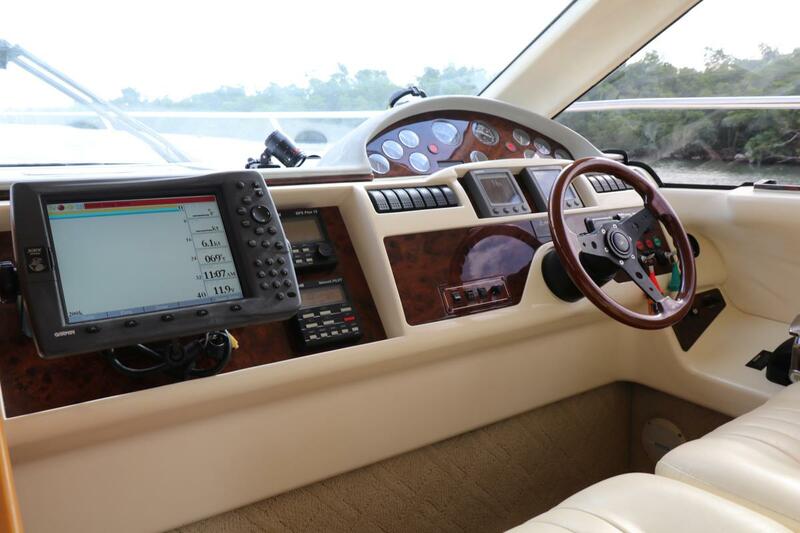 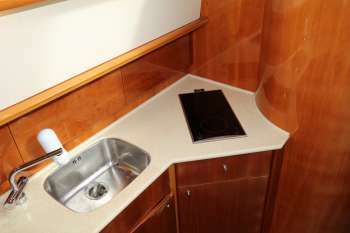 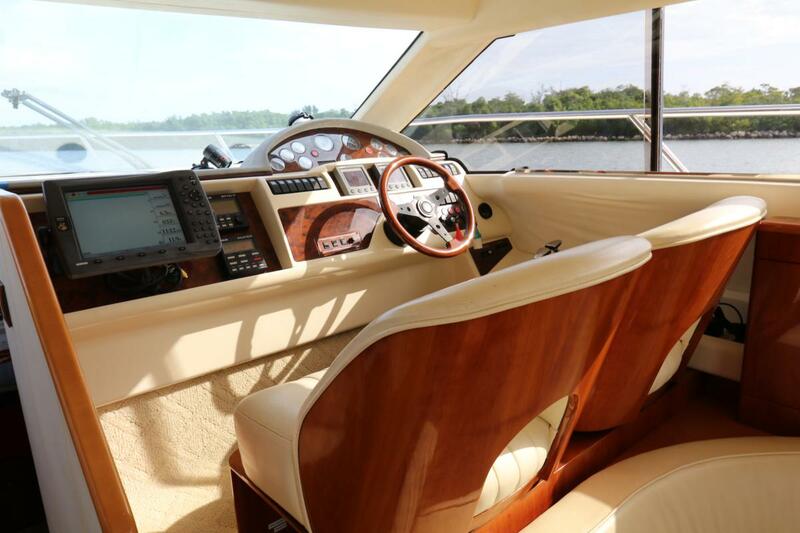 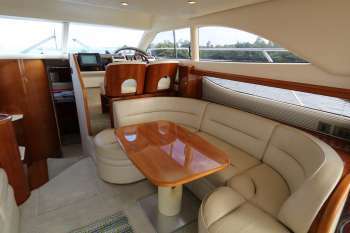 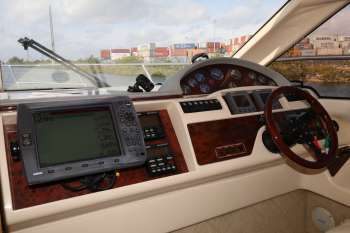 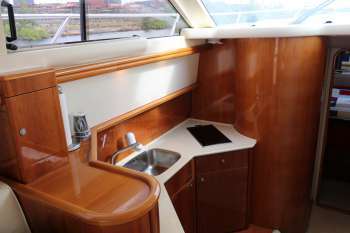 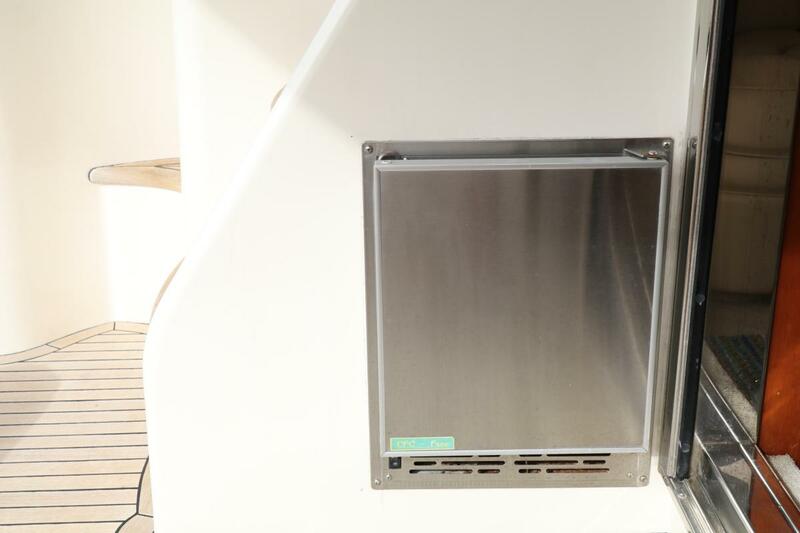 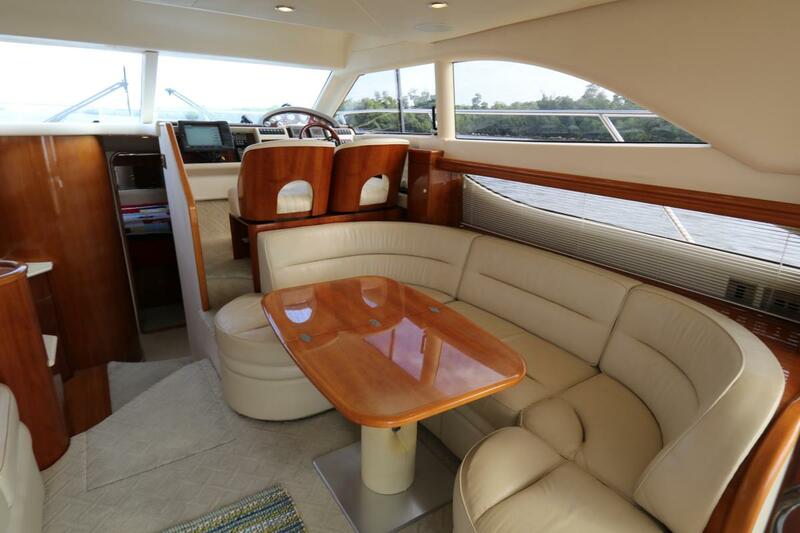 The contemporary two-stateroom interior of the Viking 40, with its high-gloss cherry woodwork and designer fabrics, is arranged with a step-down galley and a notably well arranged lower helm position. 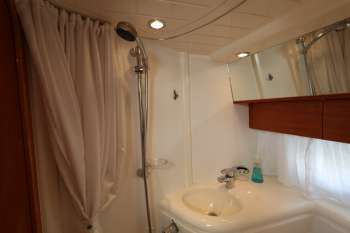 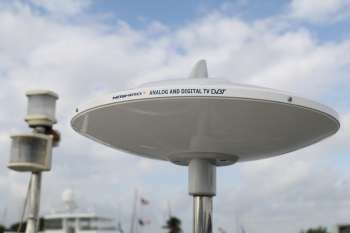 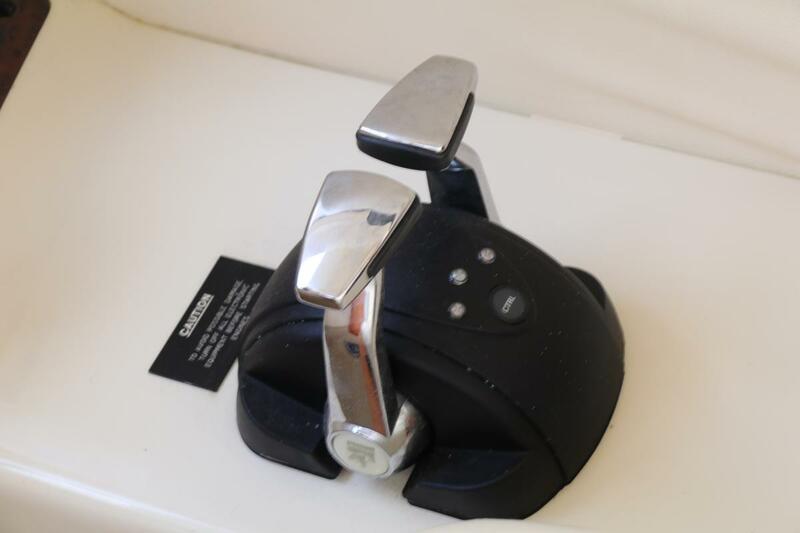 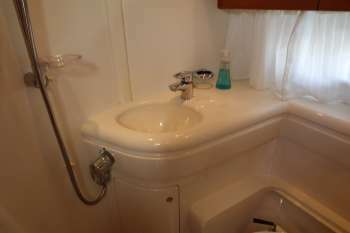 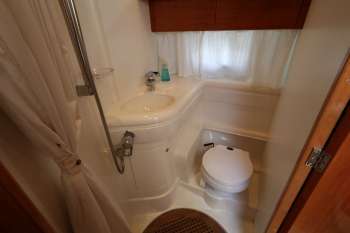 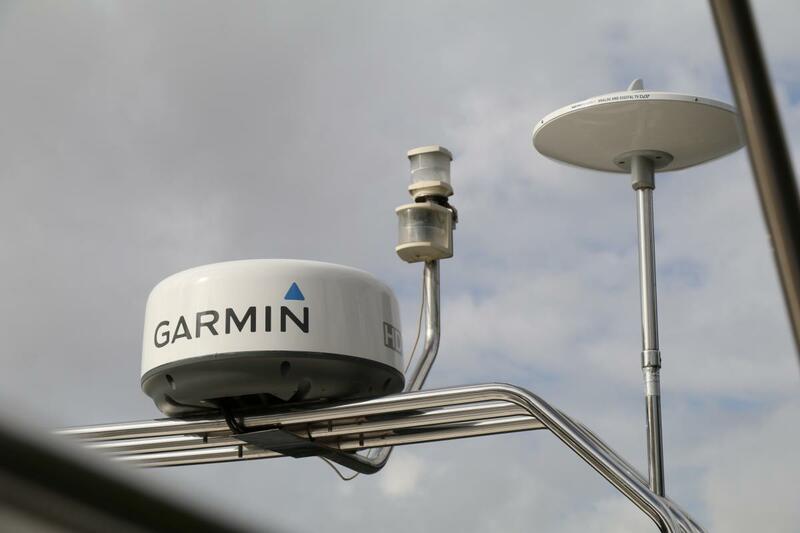 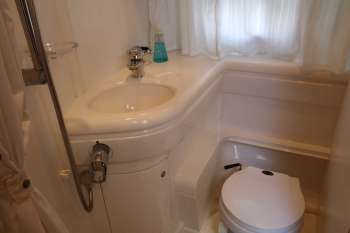 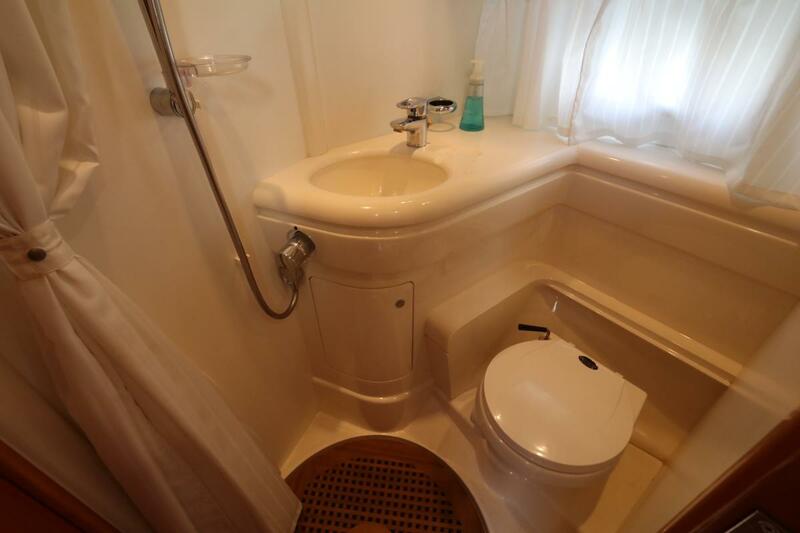 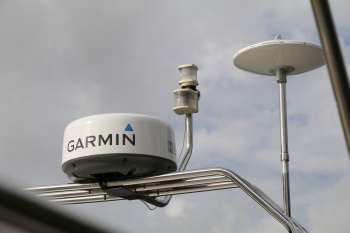 A separate stall shower is found in the owner’s head, and the guest cabin is tucked beneath the helm station above. 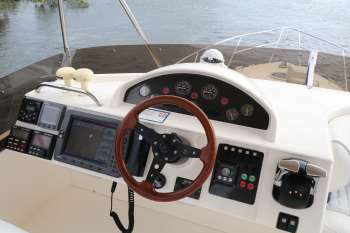 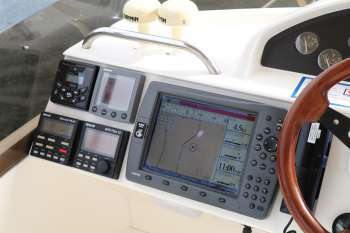 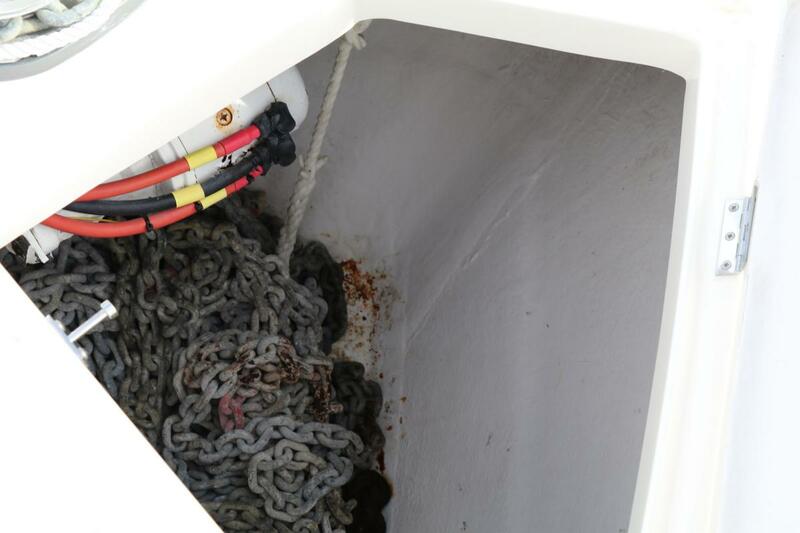 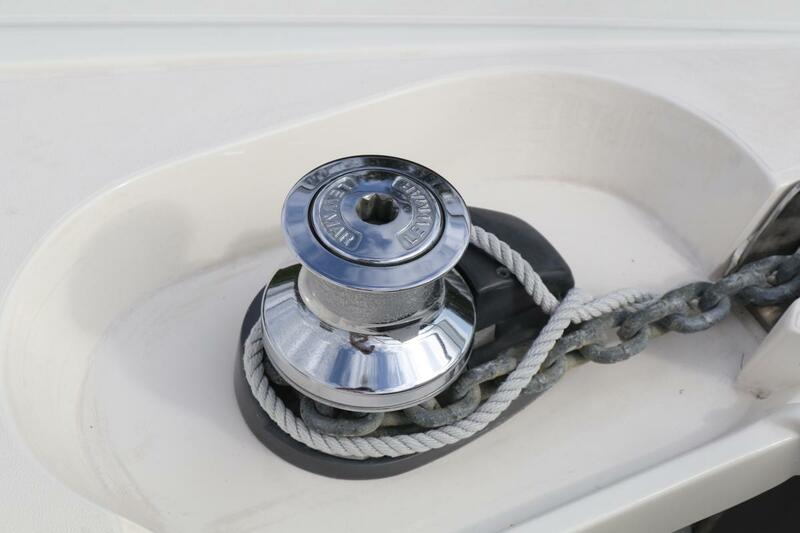 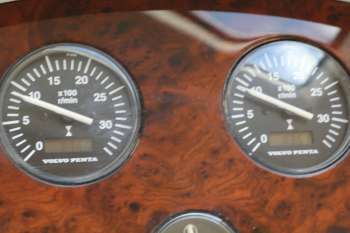 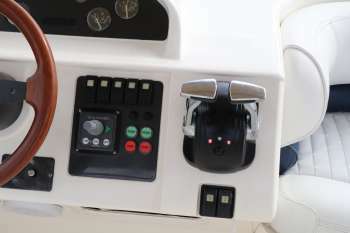 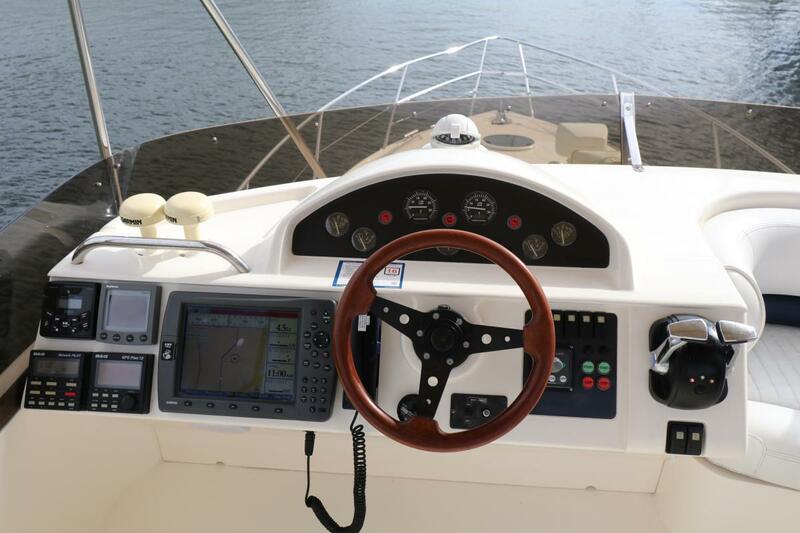 In the cockpit, a large in-sole hatch provides easy access to the engine room. 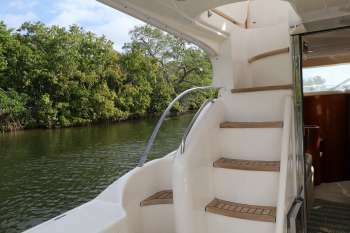 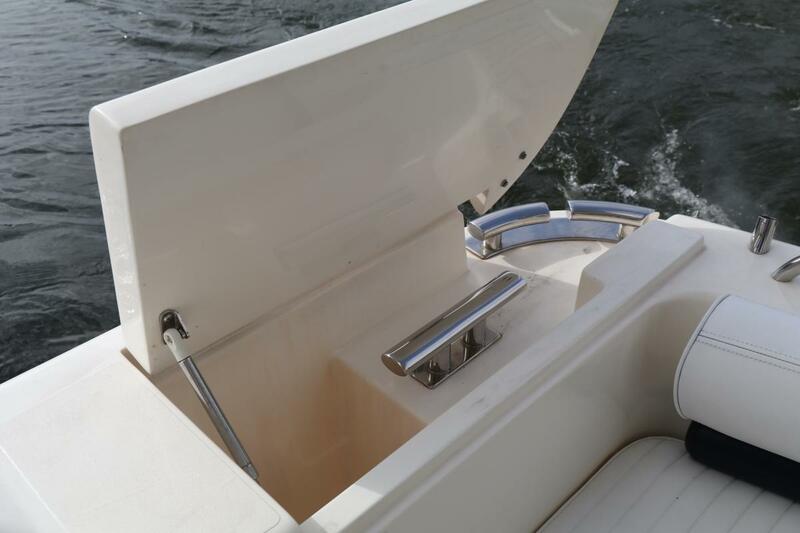 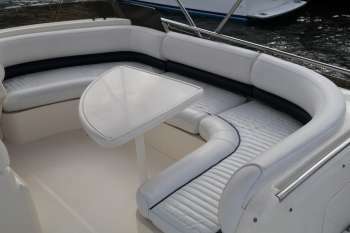 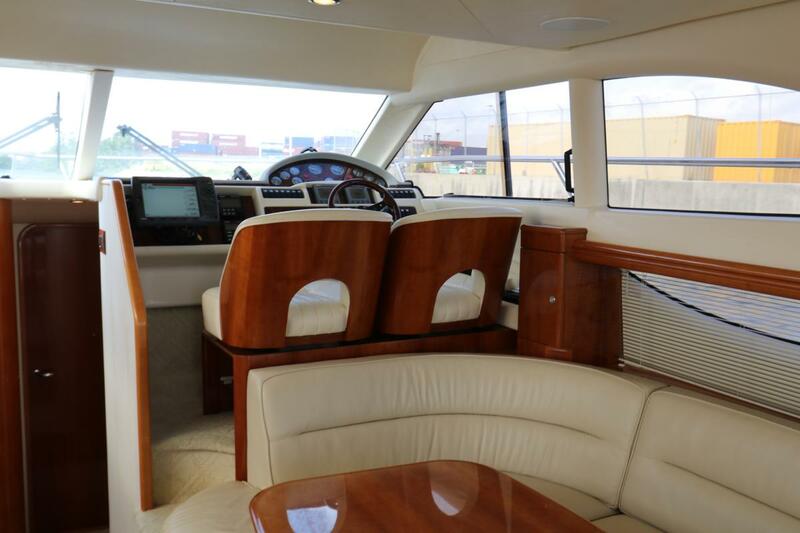 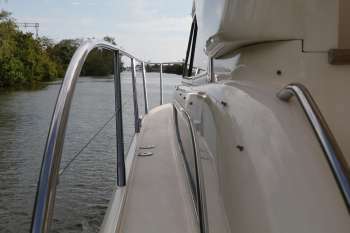 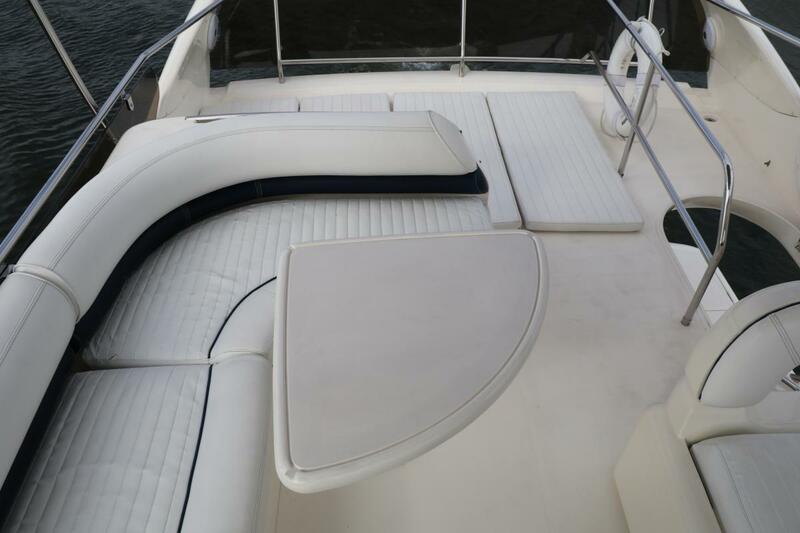 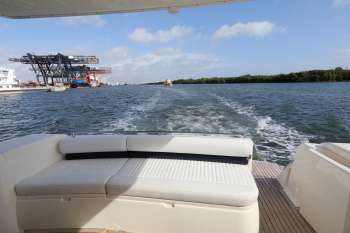 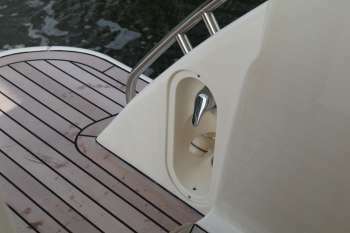 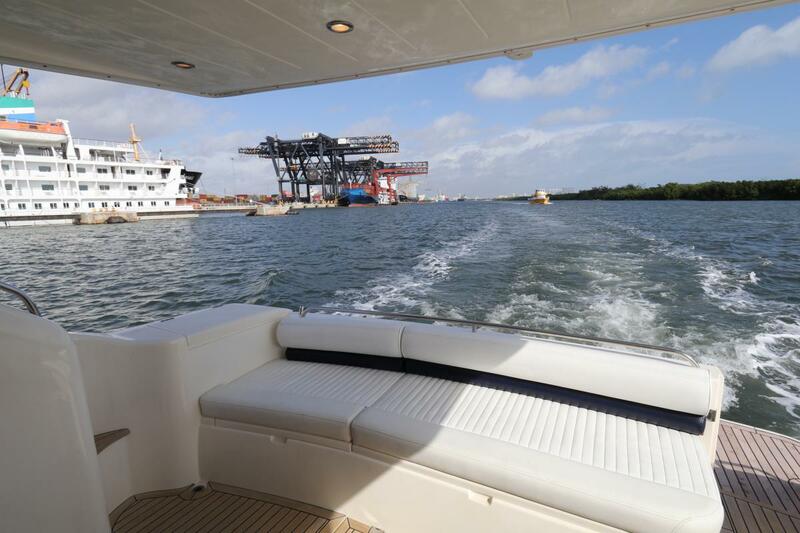 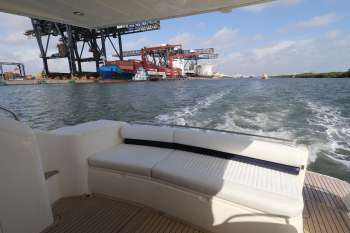 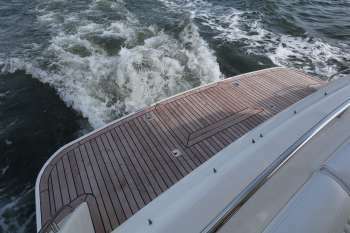 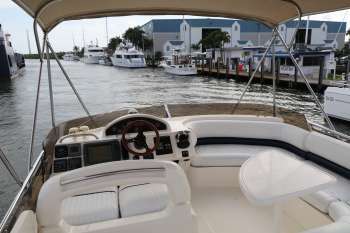 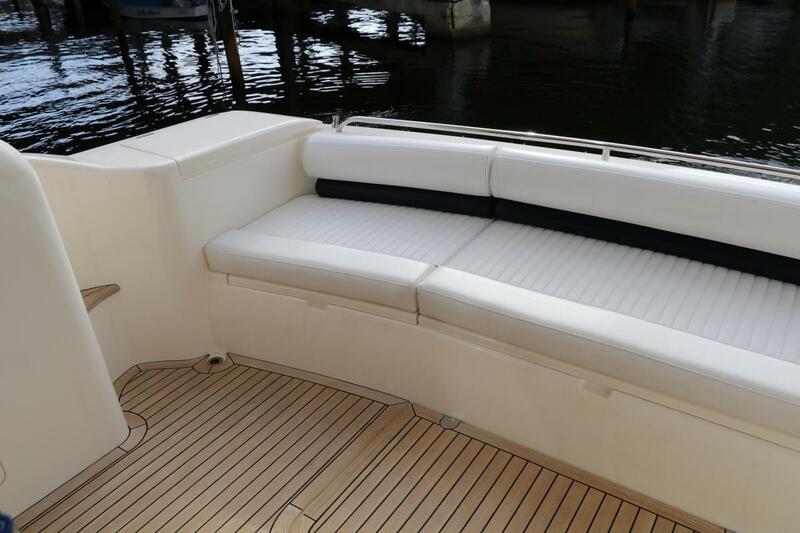 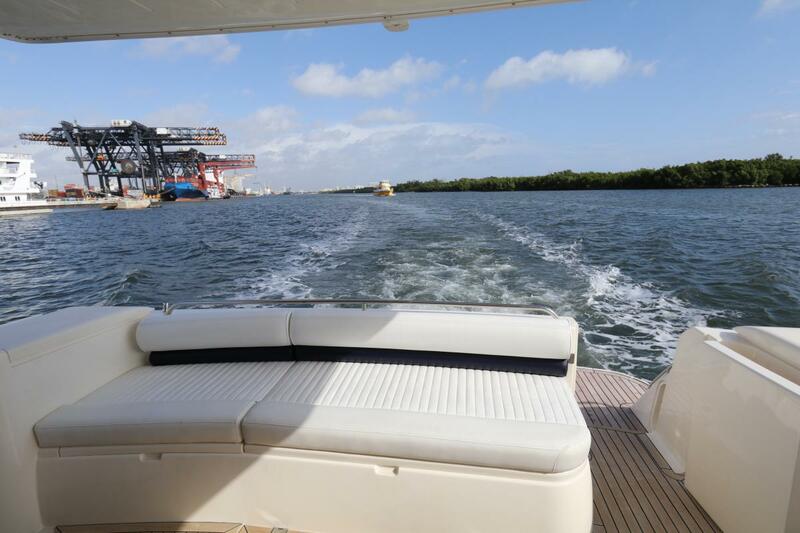 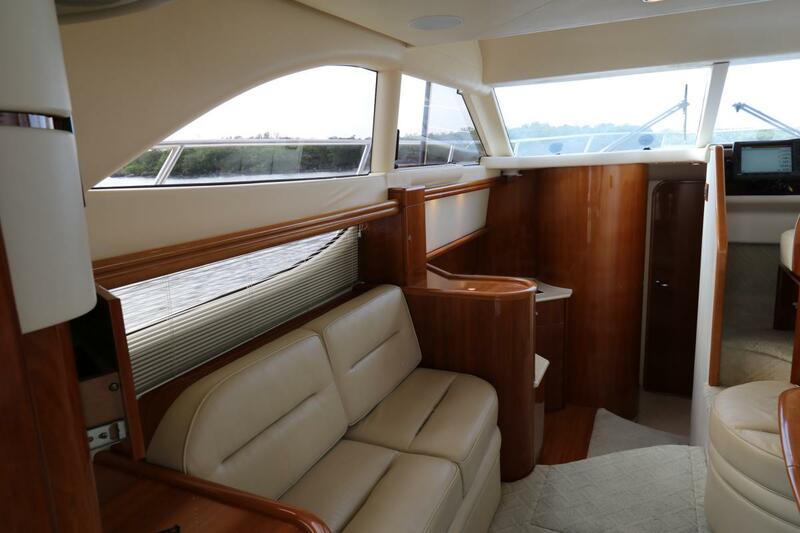 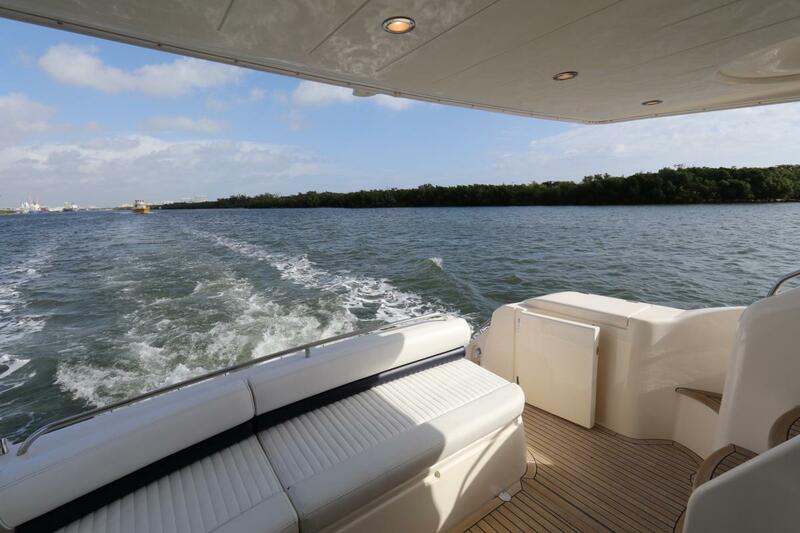 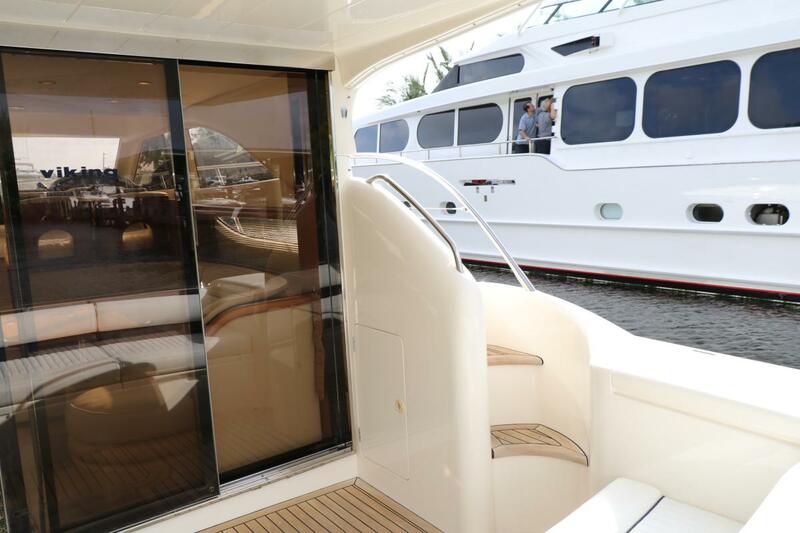 Molded steps provide easy access to the flybridge which has a U-shaped settee and an aft sun lounge. 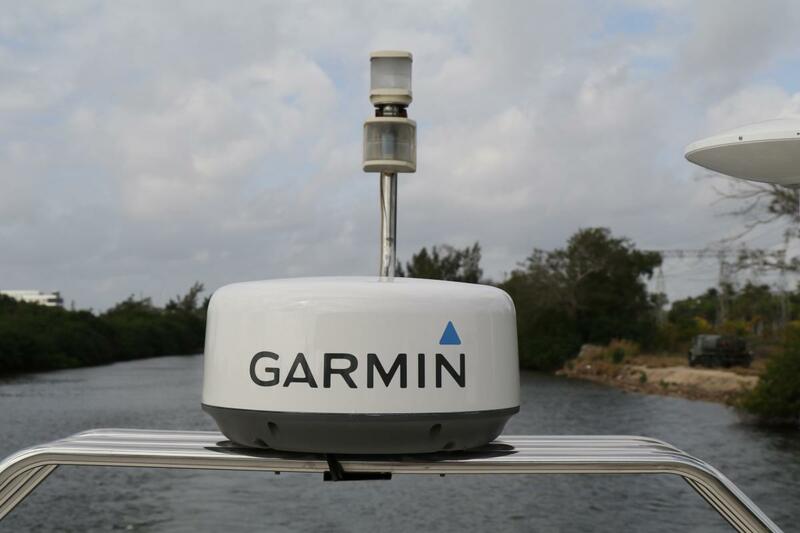 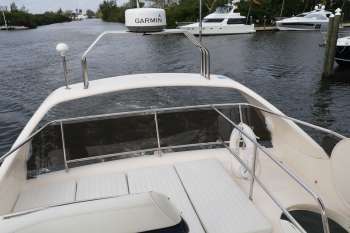 IMAGINE is located in Dania Beach, FL. and shown by appointment. Offers are encouraged. The galley is located to port down two steps from the salon.